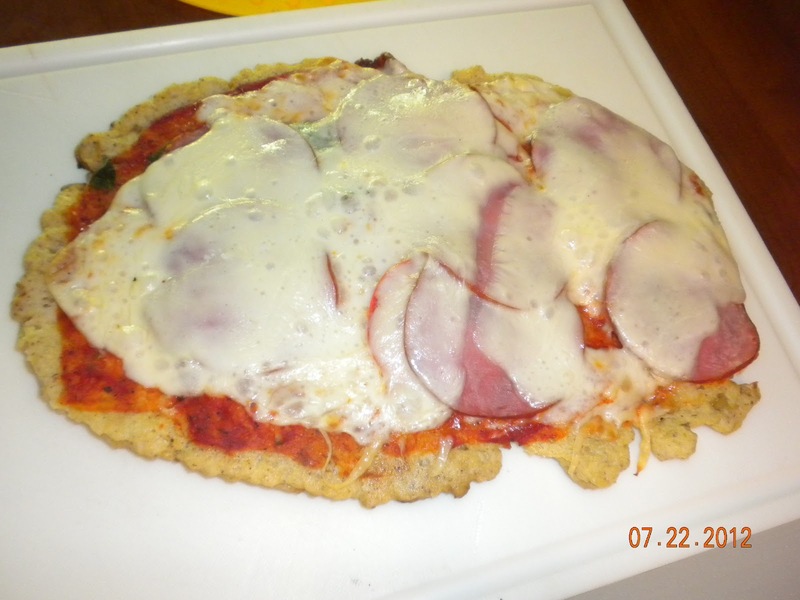 Stop by for the most decadent gluten free pizza ever! Living gluten-free and regimented to an anti-inflammatory diet, thanks to Levaquin toxicity might get the most seasoned food aficionado bored out of their minds! I was very bored today! In an effort to comfort my wounded spirit and body, after falling and cracking a couple of ribs the other day, I was ready for something a bit more exciting and enticing to emerge from my grill. Oh boy, do I have a recipe for you! I used the Gluten free Olive Oil bread dough recipe from Healthy Bread in Five minutes a day for my base. After allowing the dough to rise, I placed some non-stick aluminum foil on two baking sheets. Then I drizzled some oil, and plopped on the dough. This stuff is incredibly sticky, so I oiled some plastic wrap and spread the dough to the edges of the pan. 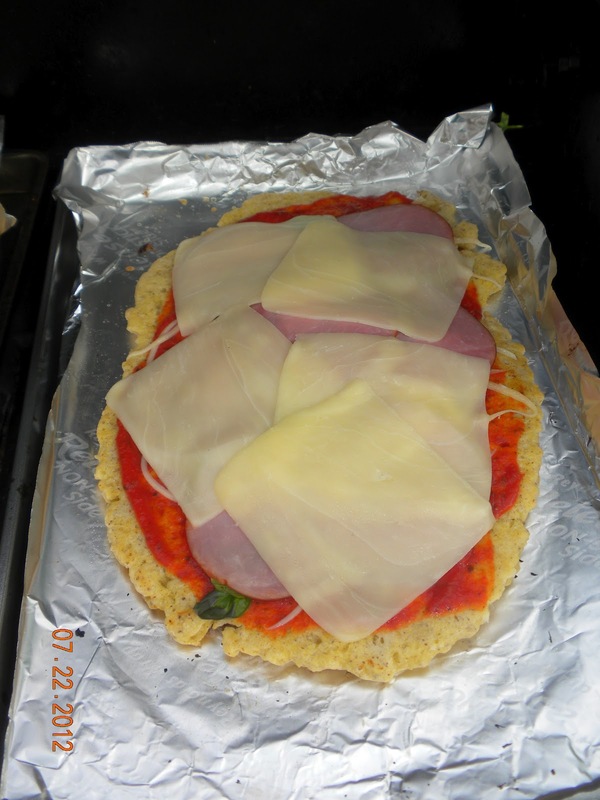 Normally, with regular dough, this crust could be placed directly on the grill–but gluten free has nothing to hold it together, so putting in on a solid base gave it a chance to cook without falling through the grates. 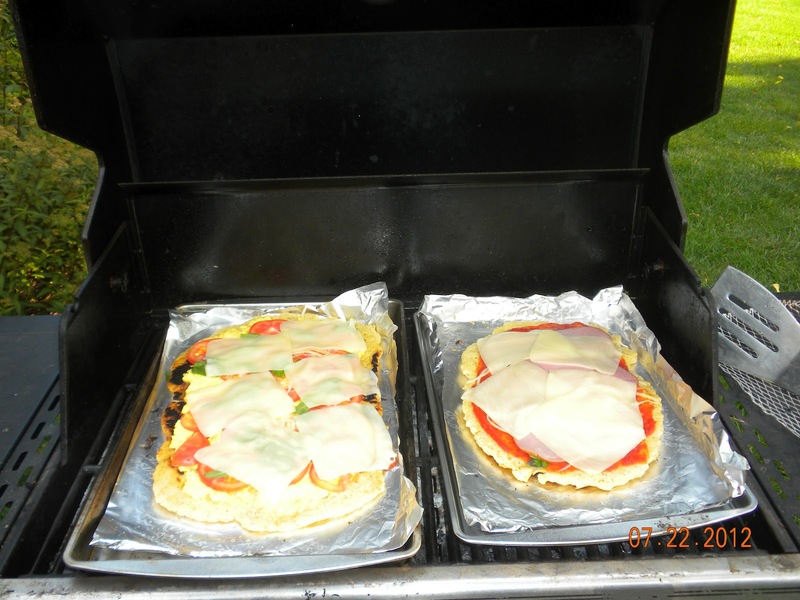 After getting the grill to about 500 degrees, I popped those crusts into the grill, let them cook for about 5 minutes, then flipped them over for another five. Once that was done, I removed them from the grill and topped them with this awesome recipe from the August Martha Stewart magazine–hope you don’t mind me writing this down, Martha, but it was a keeper and oh, so easy! Take the corn, olive oil, garlic, Parmesan cheese, salt, and pulse in a food processor until fairly smooth. 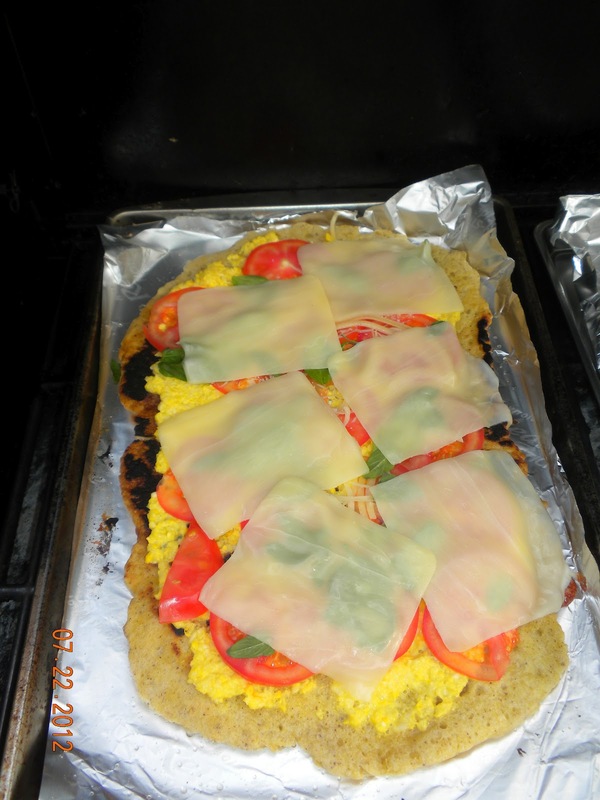 Spread corn mixture on the grilled crust, and top with tomatoes, basil and cheese. Grill on low for another 5-6 minutes. You will totally love this! The blend of the sweetness of the corn, coupled with the garlic and cheese, is an incredible base for the fresh tomatoes and aromatic basil. If I did this again, I would use fresh mozzarella, as this recipe screams for freshness through and through–but it was incredible, all the same! For my son, who thinks pizza has to have red sauce to make it pizza, I took another grilled crust, topped it with pizza sauce, Canadian bacon, tomatoes, basil and mozzarella cheese. I think he inhaled 10 pieces in under 5 minutes. Guess it was good. 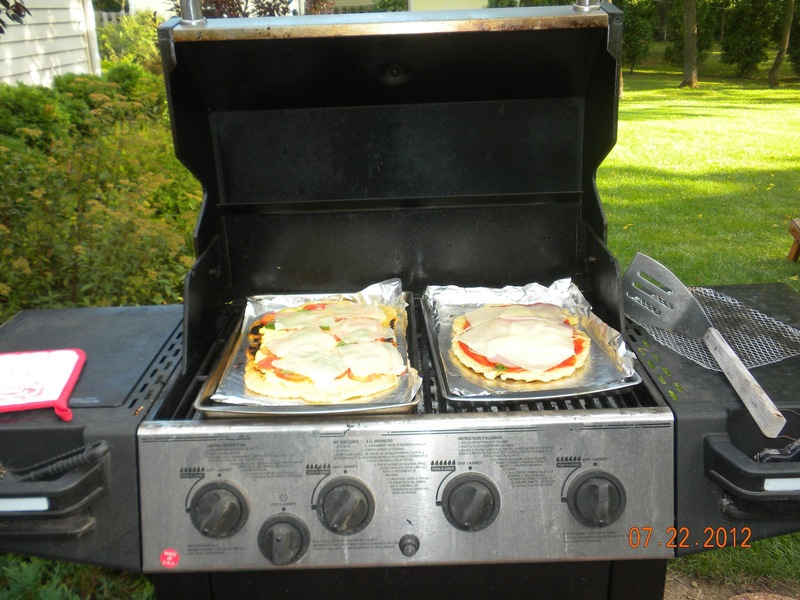 Anyhow–this will be regular fare on my grill–so let me know if you are in the area as I always have bread dough in the frig and it will only take me a few minutes to fire it up for you! 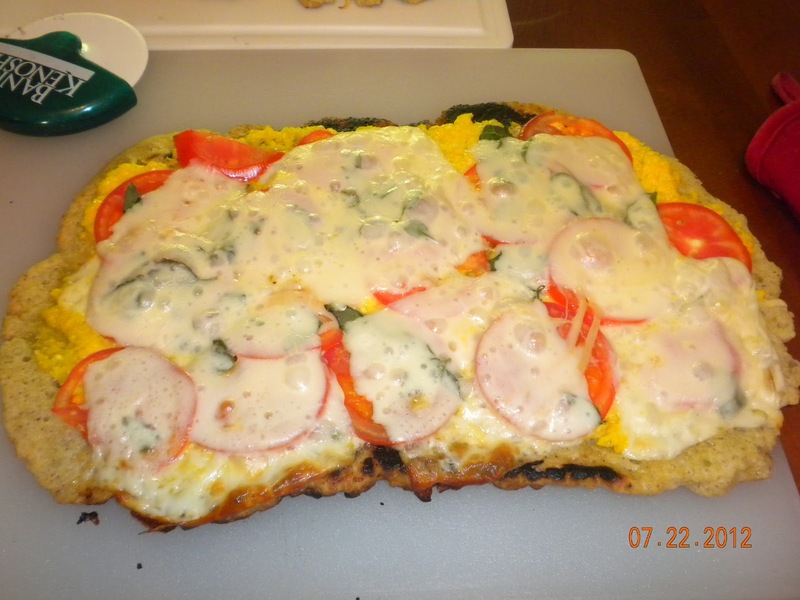 This entry was posted in gluten-free pizza, grill. Bookmark the permalink.